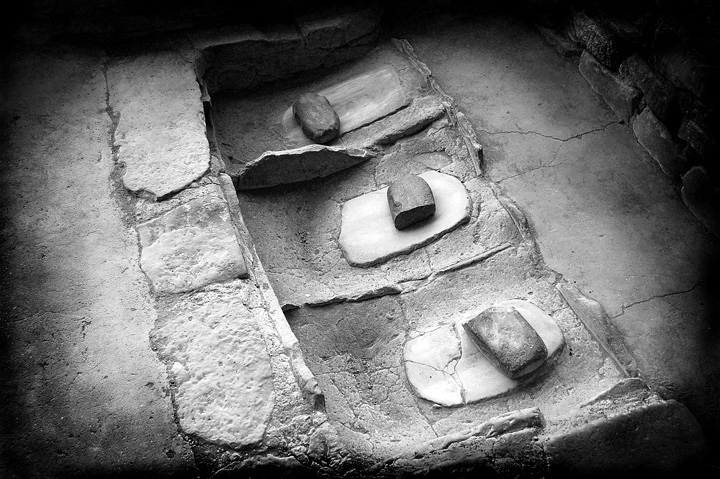 This is a set of 1400 year old grinding stones found in Mesa Verde National Park. They were used by the Ancestral Puebloans to grind corn. your title gave me the chance to learn something. Nice tones. I like the details and textures and it's interesting because I have no idea what it is. I don't like the vignette, though, it's overpowering. Perhaps a more subtle vignette would work. Proudly hosted by Sargasso Networks. Current Server Time: 04/23/2019 09:53:46 AM EDT.